Vivian Schiller brings many years of experience in big media to the role, with prior experience at CNN, the New York Times, NPR and others. Twitter's months-long search for its first head of news is over: Current NBC News chief digital officer Vivian Schiller has accepted the job. Fittingly, she made the announcement in a tweet: "Excited to join @Twitter as Head of News in January. Leaving @NBCNews at year's end. Grateful to my beloved colleagues for 2+ great years." Schiller will serve as a liaison between the social network and news organizations, according to the job description that Twitter posted in May. Twitter executives have repeatedly said the site wants to help media companies distribute news. Schiller brings many years of experience in big media to the role, with prior experience at CNN, the New York Times, NPR and others. Her hiring also comes as Twitter, which recently filed for an initial public offering, faces criticism for having a board of directors made up solely of white men. The IPO filing kicked off a renewed debate about the lack of diversity at tech companies, particularly in high-level roles. Schiller spent 15 years at CNN and served at Discovery Times Channel's senior VP and general manager from 2002 to 2006. 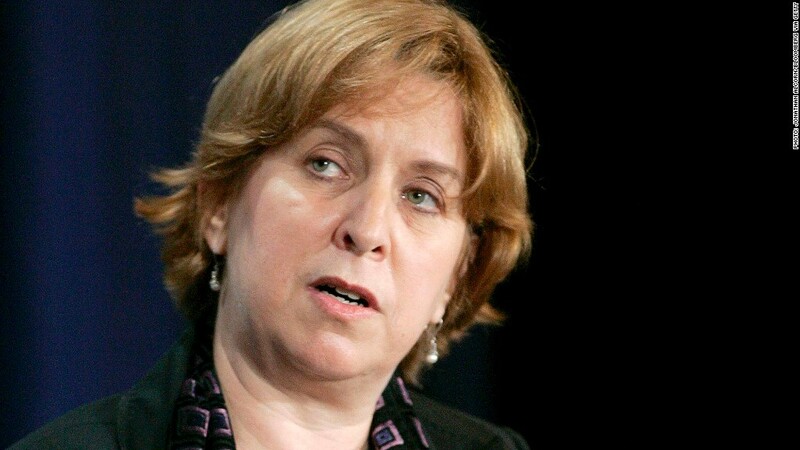 Schiller then took over the same position at NYTimes.com (NYT), where she remained for three years. Schiller's next job, as CEO and president of NPR, lasted just two years and ended in controversy. In October 2010, NPR fired senior news analyst Juan Williams after making what some deemed to be insensitive comments about people "in Muslim garb" boarding a plane. Schiller, in turn, publicly commented that Williams should have shared his comments only with "his psychiatrist or his publicist." She later apologized for the comment. Then, just five months later, NPR's fundraising chief was caught slamming Tea Party members and questioning whether NPR needs the federal funding it receives. NPR's board ousted Schiller in March 2011, and she landed at NBC just three months later. At least one person isn't happy about her hiring at Twitter. The founder of hyper-local news startup EveryBlock -- which NBC acquired in 2009 and shut down in February 2013 -- took to Twitter to express his outrage soon after tech blog AllThingsD reported during the hiring process that Schiller was the top candidate for the job. "Attention @twitter management: hiring @VivianSchiller would be a huge mistake. Check your references!" Adrian Holovaty tweeted. Holovaty had previously slammed Schiller for not working hard enough to make EveryBlock work, and users were outraged to find the site was taken down with no warning and no ability to access archived content. Schiller responded on Twitter, opting to take the high road. "@adrianholovaty I see you are still very upset that we had to close Everyblock. But I continue to have tremendous respect for your talent," she wrote.